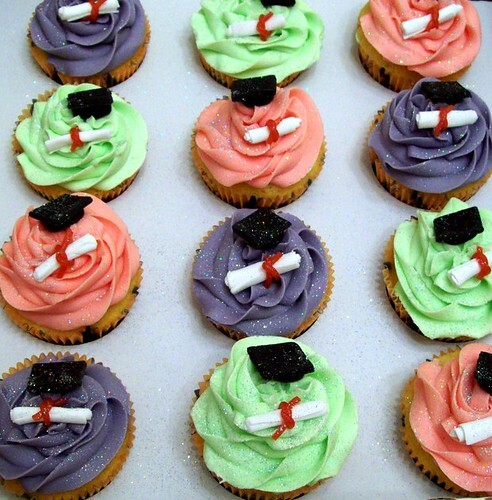 Today is graduation day for two of my teens. Today I watch them grow just a bit more and become high school graduates. I am proud of them and wish them well and hope that all goes their way in life. There will be happy times, tough times, sad times, and times where they don't know which way to turn. My hopes for them is that they keep in their memory the fact that they have a friend who is closer than a brother and always ready and waiting when they don't have the answer he all ready knows it. 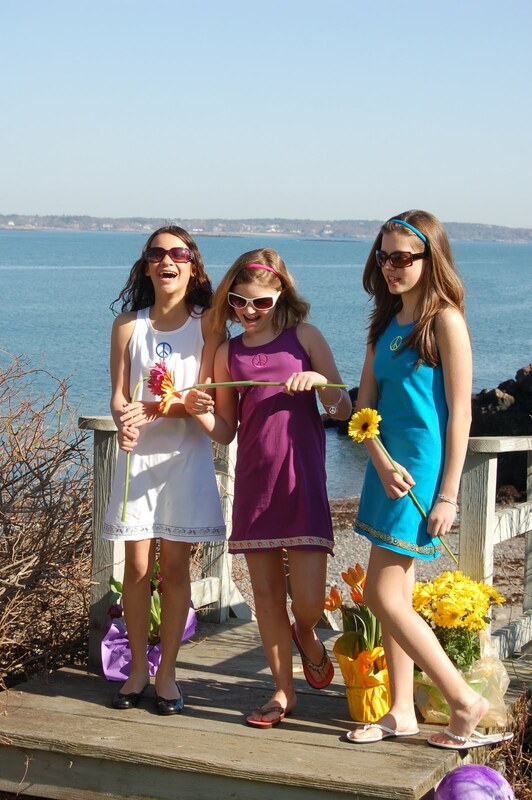 FashionPlaytes have some new great summer looks and they are offering any of Annies Home readers $10 off $35 So you can purchase any of the great looking spring and summer styles including tank dresses, denim skirts, flared capri leggings, & more that girls can of course customize to express their own sense of style. The only restriction is that the $10 off $35 does not apply to gift cards. To take advantage of this great discount use the code "annies10". Music and stories were both part of my growing up and something that I tried succesfully to incoporate both into my childrens life. That is why adore Green Golly & Her Golden Flute by Flute Sweet & Tickletoon. 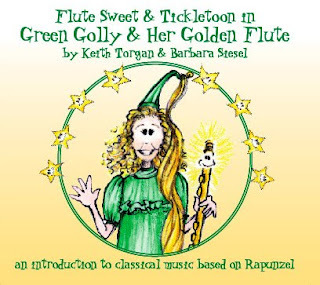 Barbara Siesel and Keith Torgan the individuals behind Green Golly & Her Golden Flute share a story with the listeners through classical music, humor and the story of Rapunzel. If you have ever heard the majestic sound of a flute playing softly then you know the sweet sounds that are found with in this wonderful cd. Green Golly is the alter ego of Rapunzel who like Rapunzel is facing problems of her own. Her wonderful golden flute will help her to express her deepest feelings and allow her to explore life. Locked inside the story you will find the music of Mozart, Mendelssohn, Schubert, Gossec, Elgar, Bizet, Chopin, and Copland. May 11th saw the release of this wonderful cd for children and all who love to hear stories and wonderful classical music. I was lucky enough to receive a copy to review for this post and one of my readers will also recieve a Green Golly and Her Golden Flute cd of their own. 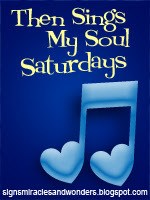 My Thoughts: I love the way the music seems to take you right into the story the characters songs in such an arrangement that it seems to draw you in. Beautiful music wrapped around a story that children should love. Start out by trimming 2 photos to the same size. I wanted to preserve my original photos so I scanned them and printed them out on cardstock. Cut a piece of wire about 2-feet long. Wrap the wire around a pen or pencil to make it look like a spring. Gently pull on each end of the wire to separate the coils a little bit. Straighten about 2-inches of one wire on either end. Now spread a thin layer of glue on the back of one of the photos. Lay the straightened wire end onto the glue and then lay the other photo on top of it so that the wire is sandwiched between the two photos. Try to line up the edges of the photo as well as you can. Once the glue is dry, you can poke the other end of the wire into the soil in a flower pot of into the vase of a bouquet of flowers. I know the weather is not as nice as it is here everywhere. For those of you who are still experiencing snow days I say I am sorry. 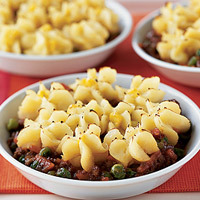 For those of you who are really warm then you will like this recipe as much as I will when it gets a bit warmer here. Heat oven to 350ºF. Line two 15 x 10 x 1-in. baking pans with nonstick foil, leaving a 2-in. overhang on each short end. Prepare each box brownie mix separately using 3 eggs, 1/2 cup oil, 1/4 cup water and 1 tsp vanilla extract (for cake-like brownies). Spread mixture evenly in prepared pans. Bake 25 minutes or until wooden pick inserted in centers comes out clean. Cool completely. Lifting foil by ends, place brownies onto a baking sheet; cover. (Brownies can be stacked with foil in between.) Refrigerate or store at room temperature until ready to assemble. Reline one baking pan with nonstick foil. Scoop ice cream into pan, spreading evenly. Freeze 3 hours or overnight until firm. To assemble: Place one sheet of brownies on baking sheet. Invert ice cream onto brownies; remove foil from ice cream. Invert remaining sheet of brownies on top; peel off foil. Cover with plastic wrap; freeze until serving. To serve: Cut in 10 rows lengthwise and 3 crosswise to make thirty 3 x 1 1/2-in. rectangles. Garnish plates with blueberries if desired. This weekend will be my youngest daughter and my second eldest sons graduation. 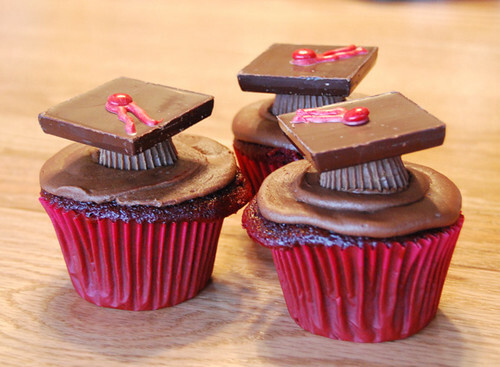 So this week on Food Trip Friday I share graduation cupcakes. Aloha Friday is a meme that is hosted by Kailani at the blog An Island Life It seems that in Hawaii friday is a day of ease and relaxation. So to celebrate this day Aloha Friday was created so that bloggers like me and you can ask each other an easy to answer question. My question today is what is your favorite T.V. show ? For us it would be shows of the past or reality t.v. With 5 teens still living at home and several of them having cell phones somewhere to plug them in becomes a crazy episode. You see they have so many things that need to be plugged in that the available outlets sometimes end up in a squabble. When the outlet is found the problem then turns to the clutter and where to place the phone while it charges. The CP Docks can help knowing where to place the phone while charging a mangle problem. Have you seen this sort of scene before? Well if you have then you should try the CP Dock and make it all manageable like the pictures below. The EZ Mount Cell Phone Charging Station was a product born out of necesity. Like our family the inventor saw the family kitchen counter taken over by cords and chargers. There was no room left for anything else thus the need for a system to charge phones in an orderly fashion. THe EZ Mount wall plate was the solution to the problem now the phone, cord and all could be placed somewhere out of the way and the family had their counters back. Win: Warm Buddies would love to give you one of the super cute bears like we received. let me know something that comforts you when you are away from home. We received a warm buddy for review purposes. The thoughts and opinions expressed in this post are mine alone. Place frozen mixed vegetables and onions in quart size freezer bag. Wrap stew meat in plastic wrap and place in same bag as frozen vegetables. Be sure to write name of recipe on bag and date bagged. Wrap seasoning in plastic wrap and place with tomato soup in a brown paper lunch bag. Be sure to write name of recipe on the bag and date bagged. Write the following directions on outside of lunch bag. Place frozen vegetables, water, meat, soup and seasoning in med. 8size boiler. Bring to a slow boil and cook for 10 minutes on slow boil. Turn to low, cover and simmer for 1 hour. Stir occasionally. May have to add more water if needed. Many of us will be taking vacations during this summer and the one thing that we are counting on to keep the kids happy are their hand held electronics. The problem comes in during the summer when the batteries die and there is nothing else to do or is there. Do you remember before the hand held games, the IPods, the electronic craze? I do. I also remember the great things we did as kids as well. I am a Aquafina Ambassador thanks to Mom Central. We are not tap water drinkers in our house. I am not sure why but offer them so flavored water and you will get more of a reaction. My athletes only drink water and juice and since receiving the flavored water have decided they could do without the juice as well. Aquafina FlavorSplash's "Flavor Your Day" Mom Ambassador program will be lots of fun. People are busier than we used to be with everything that needs to be done there seems little time to think about what is good for us. Soft drinks used to be a treat but now they are all to common. As moms we can do something about this. By offering our children water to drink we can help ensure their health. Doctors recommend keeping hydrated by drinking eight glasses of water a day. Plain water does not have the attraction that many other products do. However, now there is delicious Aquafina FlavorSplash. The wonderful Aquafina's lightly flavored FlavorSplash water provides a sweet and refreshing alternative to regular water, allowing you to get the benefits of drinking water with the delicious taste. Giveaway: Five (5) winners will receive a free coupon for Aquafina FlavorSplash and 2 lip balms each. 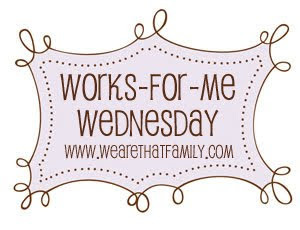 To enter this giveaway share with me what you are doing to stay healthy. SnorgTees began as a way out of real jobs in 2004. So they decided that they weren't meant for real jobs and would have to find a way to make a living. They decided the only thing to do was to sell tees. I love this story because it is exactly where my kids are at as well as many other graduates. What to do in life is the question that everyone must answer for the folks at Snorg tees their answer made them happy and their company has grown. Most of the tees at Snorg are designed by Snorg employees while others come from their customers. Snorg is always open to great ideas for their tees. Tees there are available for men, women and children as well. In fact, they also have those awesome cool hoodies that everyone loves to hide under so they can sleep in class or through other boring moments. Win: Snorg Tees would love to give one of Annie's Home readers a tee of their choice. Giveaway starts now and ends June 2, 2010. Good Luck Email must be on comment or on blog profile for it to count. Natural Mat, Kushies and It's My Planet have teamed up to host a favulous giveaway. Combine all ingredients in Crockpot; mix well. Cook on Low for 4 hours until pasta is tender and meatballs are completely heated, stirring once during cooking. Serves 6. Have a stopped up drain that needs unclogged. Here is an easy trick to try before calling the plumber. follow with a bottle of vinegar and a kettle of boiling water. Use this the next time you have a clog before calling the plumber. Using this once a month may help you avoid clogs at all. This was a picture a friend took oh what fun we had this day. Its everyones dream to bounce in the bouncehouse on a warm summer day. 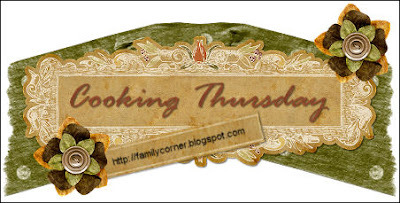 Spray a 13 X 9 X 2 inch-baking pan with non-stick cooking spray and set aside. In a bowl, combine soup, cheese, butter, onion, salt, and pepper. Gently fold the potatoes into the mixture and pour into prepared pan. Bake in a 350-degree oven for 35-40 minutes, until heated through and top is browned. Were you aware that tomatoes may play a role in preventing breast and cervical cancers. There have been no clinical trials as of yet but many believe it to be true. There was a test conducted bythe Boston researchers that stated that tomatos may protect against cardiovascular disease. So growing those tomatoes may prove one day to be just the medicine you need. To prepare tomato sauce, combine sun-dried tomatoes and water in a bowl; cover and let stand 30 minutes or until soft. Drain and finely chop tomatoes. Heat 1 teaspoon olive oil in a large saucepan over medium-high heat. Add sun-dried tomatoes, bell pepper, and onion; sauté 7 minutes. Stir in canned tomatoes; bring to a boil. Cover, reduce heat, and simmer for 10 minutes. Remove from heat; stir in parsley, basil, vinegar, 1/4 teaspoon black pepper, and garlic. Preheat oven to 350°. To prepare chicken, lightly spoon flour into a dry measuring cup; level with a knife. Combine flour, Parmesan, and 1/4 teaspoon black pepper in a shallow dish. Place each breast half between 2 sheets of heavy-duty plastic wrap; flatten to 1/4-inch thickness using a meat mallet or rolling pin. Dip each breast half in egg white; dredge in flour mixture. Heat 1 tablespoon oil in a large nonstick skillet over medium-high heat. Add chicken; cook 5 minutes on each side or until golden. 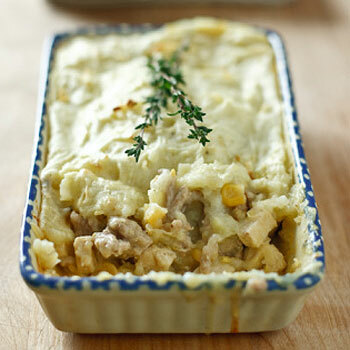 Arrange in a 13 x 9-inch baking dish coated with cooking spray. 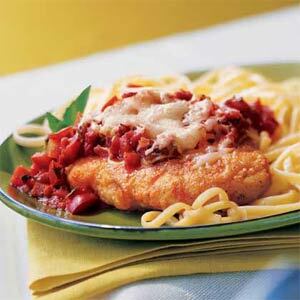 Pour the tomato sauce over the chicken. Sprinkle with mozzarella. Bake at 350° for 15 minutes. Serve over linguine. Ecclesiastes 3:11 is perfect for the occasion of graduation. We did not know when we held our tiny babies what they would do in life. We had our dreams and aspirations but there was one that did know and that one is our Lord in heaven above. 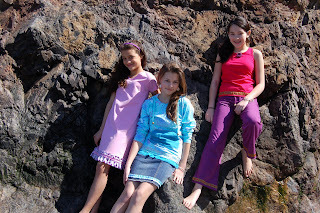 Now as we have watched them grow and they soon graduate I wonder what the next step will be. They both proudly state "I am not afraid as I walk with my Lord" and my son says "I wait for him to call me and tell me where and what I need to do." Just like when they were little I have aspirations and dreams but no real knowledge of what will come but there is one that does.